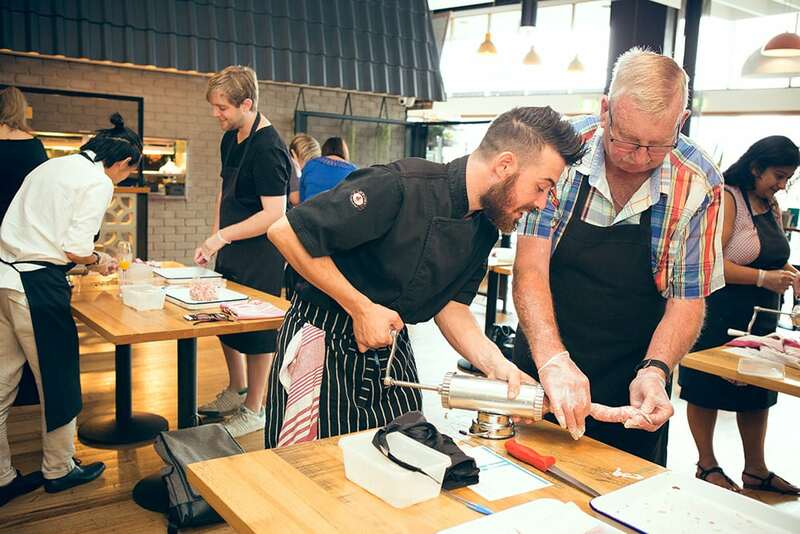 Head Chef Lorenzo Casu will show you everything about Sausage making; from the best cuts of meat to use, how to grind meat, herbs and seasonings to use, how to fill natural sausage casings and even explain the perfect way to cook your snags! Once the hard work is done you sit down, admire the view of the Yarra River & city skyline whilst enjoying the a sit down gourmet sausage lunch with a nice cold beer. The sausage making master class takes about 2 hours. - A 2 hour class with Head Chef Lorenzo Casu. You'll come away with an expanded knowledge of the different cuts of pork and how to make your own preservative & gluten free sausages at home. - A container - to transport your freshly made sausages home, ideally a cooler bag. Course notes, chefs apron and all equipment supplied.